My birthday is this month, so I am having a party with YOU! 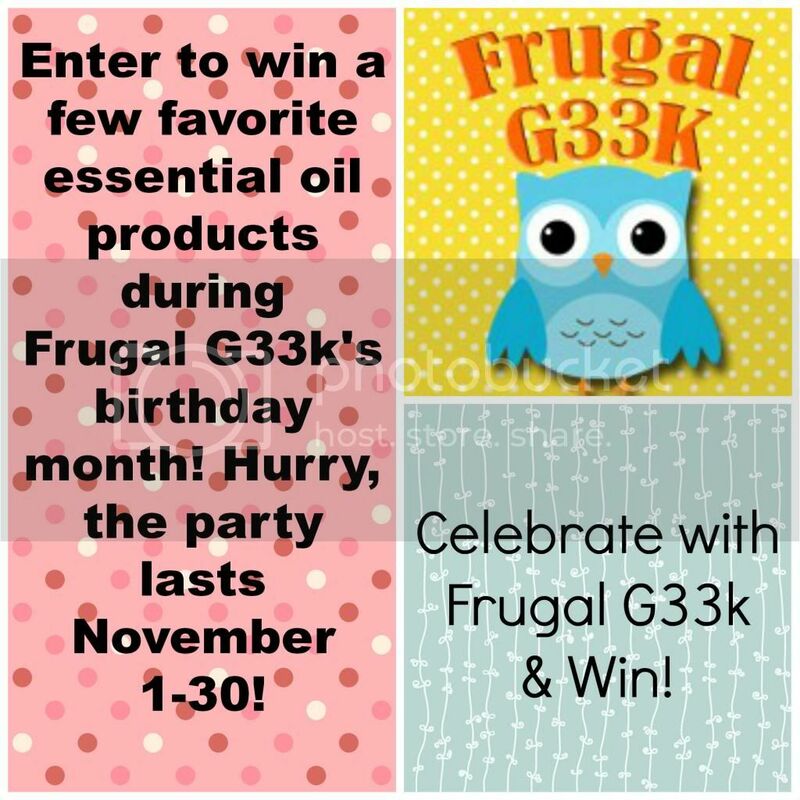 This birthday bash is hosted by Frugal G33k! As you know, my favorite thing is essential oils. Being a mom, I love being empowered to take care of my family with minor injuries, sickness, and so much more. I wanted to share just a few of my favorite products with you to try so you can see why I’m crazy about them. It was really hard to decide. Really. 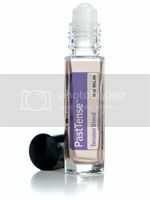 PastTense is a proprietary blend for tension and the discomforts associated with headaches, provides calming comfort with the strength of CPTG® essential oils of wintergreen, lavender, peppermint, frankincense, cilantro, marjoram, roman chamomile, basil, and rosemary. This powerful oil blend is amazing for tense muscles, headaches, and migraines. We absolutely cannot be without it anymore! Whenever we have tension or a headache, we just take our roll-on and apply a small amount where the pain is and begin getting relief! 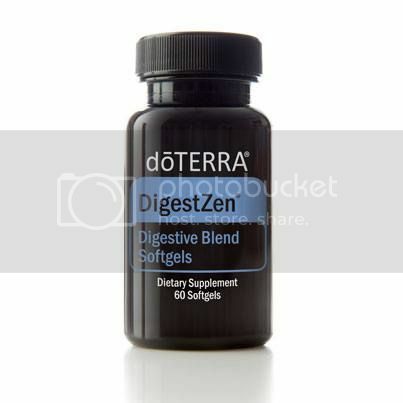 dōTERRA DigestZen Softgels are a convenient way to obtain the benefits of the proprietary DigestZen essential oil blend in an easily dissolvable, vegetarian softgel. -Provides a unique blend of Ginger, Peppermint, Tarragon, Fennel, Caraway, Anise, and Coriander essential oils. -Supports healthy digestive balance and function. -Provides soothing digestive release for stomach discomfort. These are great for a natural relief from stomach cramps, nausea, heartburn, and reflux. I was on 1-2 OTC antacids a day to control my reflux but DigestZen has controlled it wonderfully! I don’t even need it daily anymore! dōTERRA®'s fluoride-free On Guard toothpaste provides the protective benefits of therapeutic-grade On Guard essential oils, while also reducing plaque, and whitening teeth with gentle polishing agents. On Guard's unique cinnamon-mint flavor, with xylitol, also leaves your breath (and your toothbrush), fresh and clean. This toothpaste disinfects your mouth as well as your toothbrush, killing germs in its path. I have never had a toothpaste that I enjoyed the taste of so much! We will have 3 winners for this giveaway, and each prize will come with a sample of Deep Blue Rub, dōTERRA®'s rich, topical cream infused with Deep Blue Soothing Blend of Certified Pure Therapeutic Grade essential oils that provides targeted comfort to tired and sore joints and muscles. Formulated with a proprietary blend of natural plant extracts and other powerful ingredients, Deep Blue Rub provides a comforting sensation of cooling and warmth to problem areas. Deep Blue Rub is an essential addition to your bathroom cabinet, gym bag, or first aid kit. Deep Blue Rub is blended in a base of moisturizing emollients that leave your skin feeling soft, not greasy and is the choice of massage therapists and sports practitioners for applying dōTERRA's Deep Blue essential oil blend. In addition to my giveaway, I am offering a special offer for all my readers! For anyone who decides to sign up for a wholesale account to purchase their own CPTG (Certified Pure Therapeutic Grade) essential oils and purchases a starter kit of oils, I will send you a complimentary guide book ($15 value) to help you learn how to use your oils for anything and everything! It covers a wide variety of uses like colds/flu, asthma, sensory issues related to ADD, ADHD, & Autism , rashes, burns, allergies, arthritis, cancer, cuts/bruises, diabetes, ear infections, blood pressure, thyroid, and so much more! This offer is good only for the month of November, so don’t delay! I am so excited about this giveaway, I love all the products! a Rafflecopter giveaway Disclosure: Frugal G33k is providing the prizes. Participating blogs are not responsible for prize shipment. This promotion is in no way sponsored, endorsed, administered by, or associated with Facebook, Twitter, or Pinterest. We hereby release Facebook, Twitter, and Pinterest of any liability. Winner(s) will be contacted by email and will have 48 hours after email has been sent to respond before another winner is selected. All entries are verified.